Work has begun on a four-year, 395-million-dollar project to revitalize the nine crumbling, open-air platforms and stations of the N line subway, still called by many the “Sea Beach Line,” after the Sea Beach Railroad, the late nineteenth-century Coney Island excursion route it replaced in 1914-15. 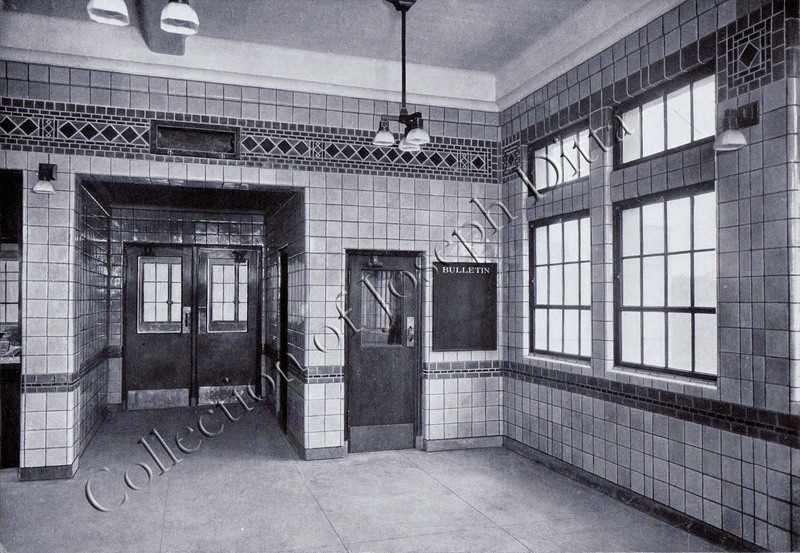 Here is a photo of one of the N’s station houses (it is unidentified, but all the stations followed this basic design), taken when the line had just been completed in 1915. It comes from a publication showcasing the Associated Tile Manufacturers, who furnished the pattern of “reds, browns and greens on a ground of light tan.” Let’s hope the expensive and lengthy restoration returns us to this dignified past.